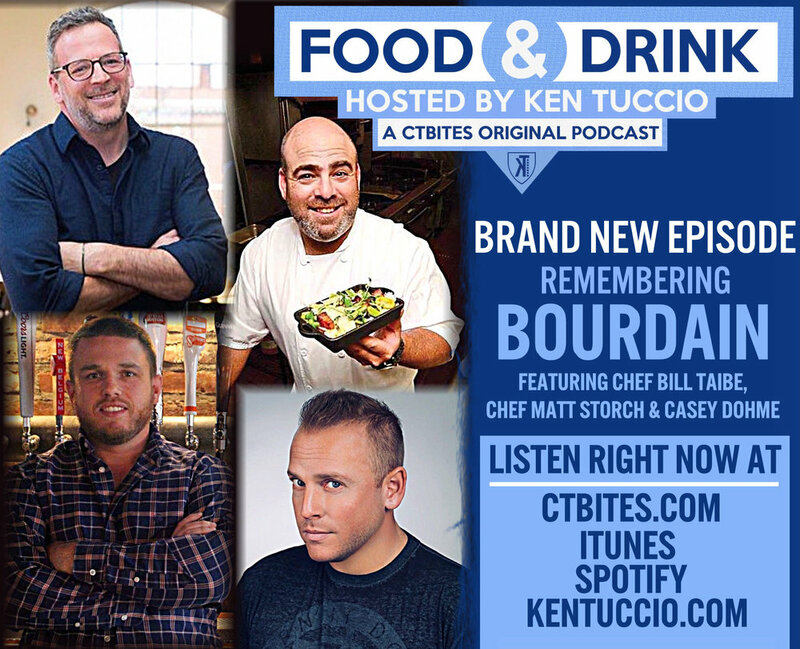 Ken Tuccio has frequently called Anthony Bourdain his "biggest inspiration". Sadly, Anthony Bourdain is no longer with us. In this very special episode of FOOD & DRINK, Ken sits down with some of the most well known names in the Connecticut culinary scene; Chef Bill Taibe (Jessup Hall / Kawa Ni), Chef Matt Storch (Match/ Nom-Eeez) and Casey Dohme (The Blind Rhino) to talk about the life and legacy of Anthony. Listen here.